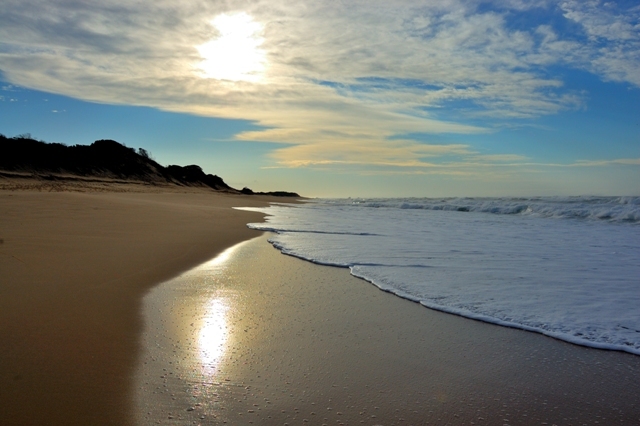 Xai Xai (pronounced shy shy) is the capital of Mozambique’s Gaza province and hosts some excellent accommodation most of which is situated close to the beach, so if you are in the market for a beach holiday, then Xai Xai is definitely the place to be. Praio de Xai Xai (the beach of Xai Xai) has accommodation that falls mainly into the resort category but the facilities vary considerably. You can choose from established lodges with swimming pools, bars and restaurants boasting chefs that will have your mouth watering with fresh seafood every day. Or you can go for accommodation which is self-catering or a little more rustic – most places are fully equipped with fridges, stoves and come in varying sizes to accommodate any number of people. No matter which accommodation option you are looking for Xai Xai will certainly not disappoint, with miles of white sandy beaches stretching in both directions and warm, clear blue water – your days will be filled with water sports, relaxing on the beach or exploring the little village. Large budgets and small, you will find accommodation in Xai Xai which is perfect for you. Contact our destination specialist for further information.